On Wednesday, September 17, Justin and I took what may have been my favorite adventure. 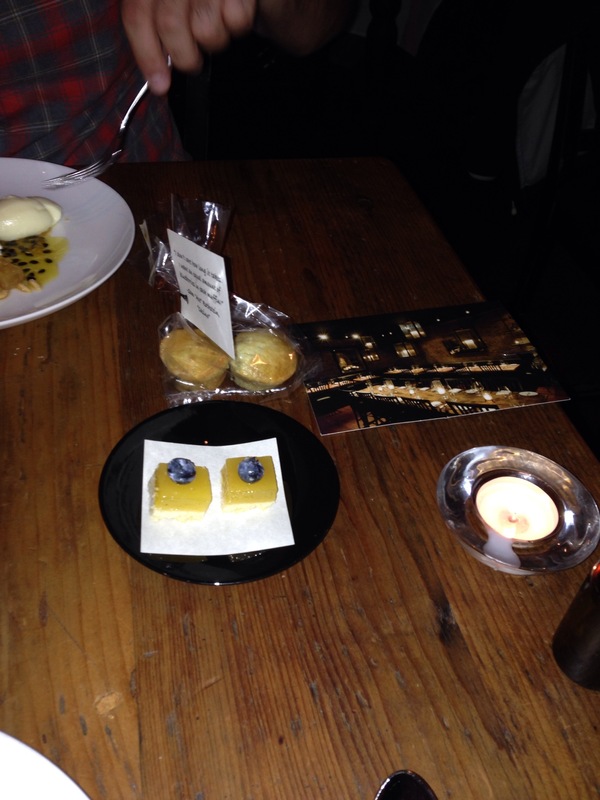 I arrived at Marc Forgione’s at about 5:00 for our 5:30 reservation. Ample time to grab a drink at the bar and obsess over the perfect decor. Let me begin by giving this restaurant and experience a 4 star Baconboozer rating. 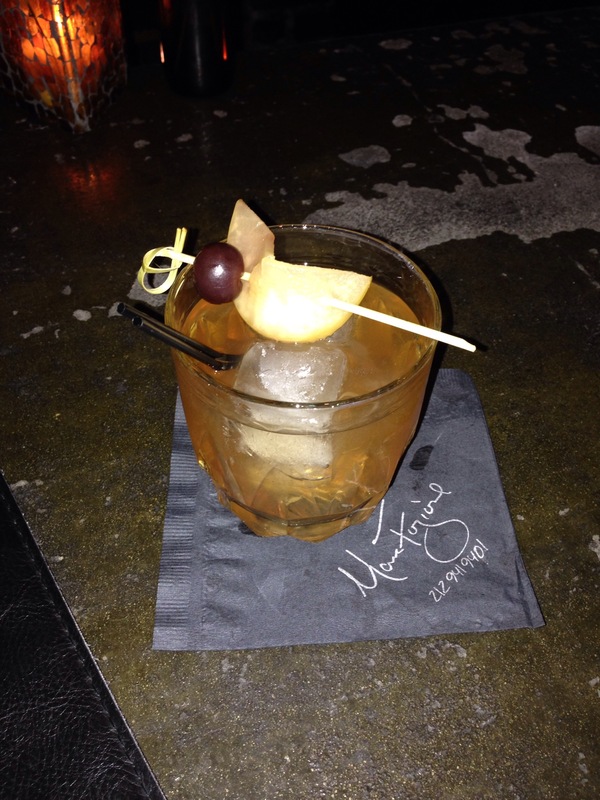 For my cocktail, I went with the Small Batch bourbon, Calvados, Prospect Hill Orchard Apples, and Ginger. 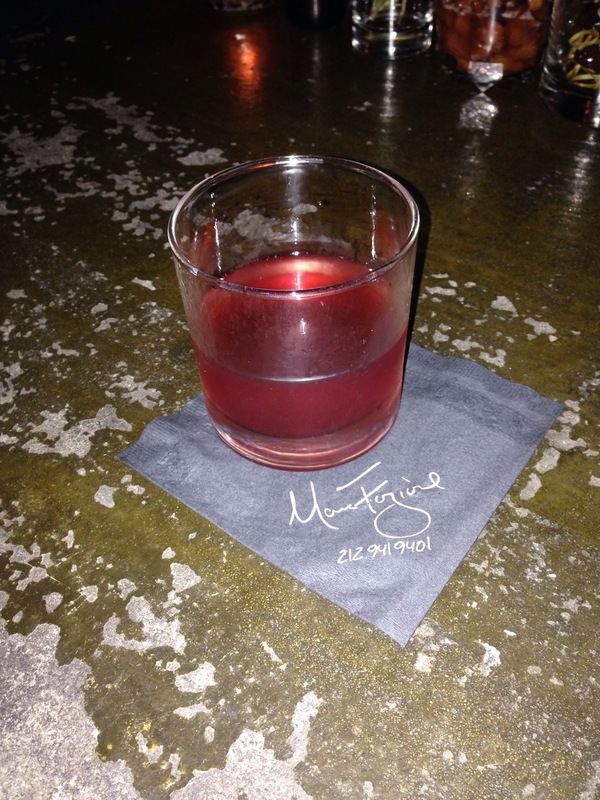 When Justin arrived he went with the Rye, smoked cherry, absinthe, Peychaud’s bitters, and burnt orange essence. I loved the dark and rustic decor: open wooden shelves with industrial ropes holding them up, destructed wooden tables, dark lighting, and exposed brick. We moved to our table – the restaurant was fairly empty so early in the evening but filled up over the course of our meal. 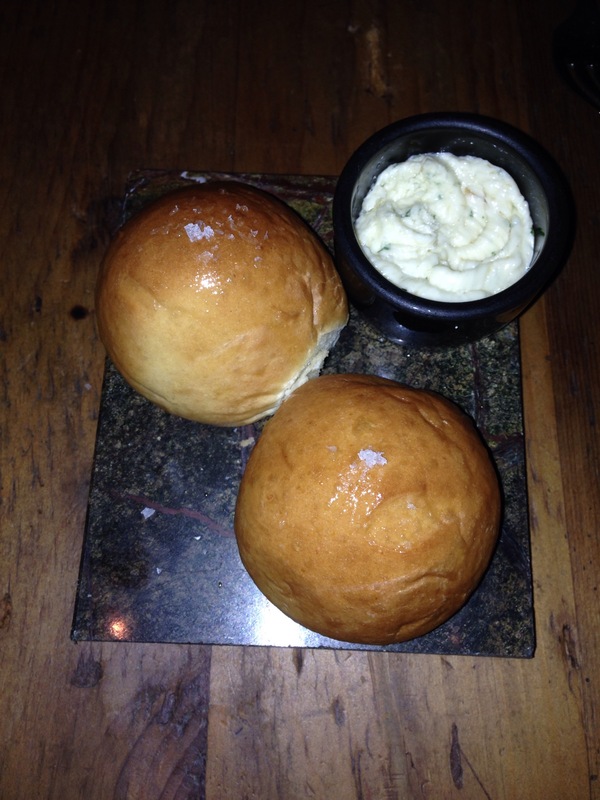 We were presented with the menu, and possibly the best butteriest bread ever. 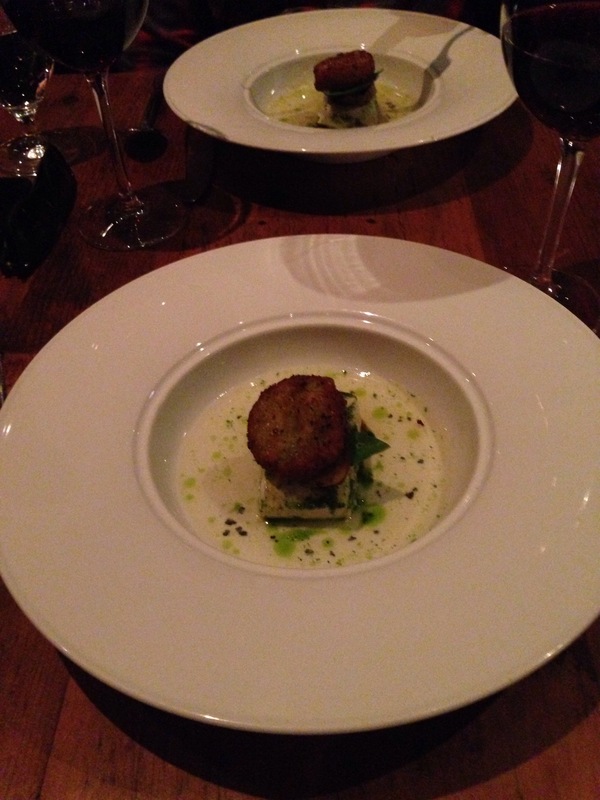 Since everything on the menu seemed overwhelmingly amazing, we decided to go with the chef’s tasting menu to remove the stress of making any decisions and to ensure we got a taste of all the best stuff. 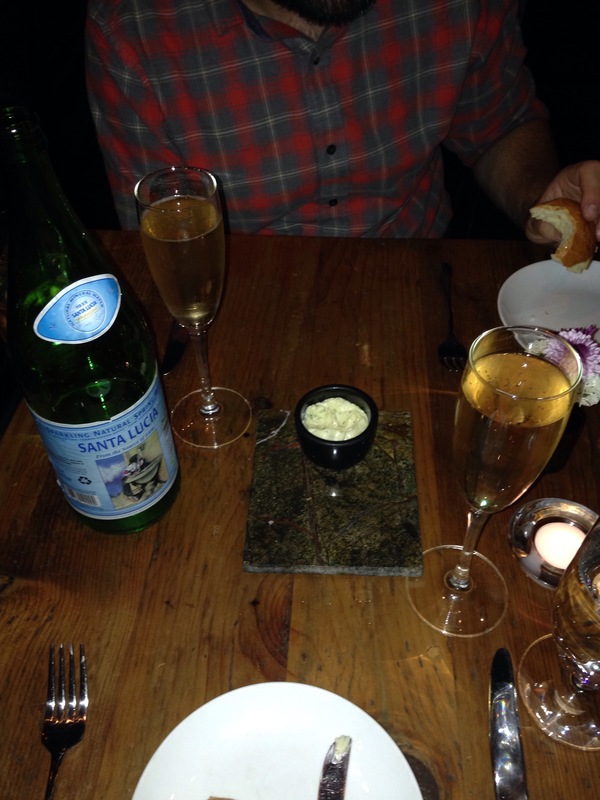 To drink with dinner, we first went with a glass of the sparkling rose each. For the rest of the meal we drank red wine by the glass – $25 each, the most expensive option… I guess we were feeling rich. 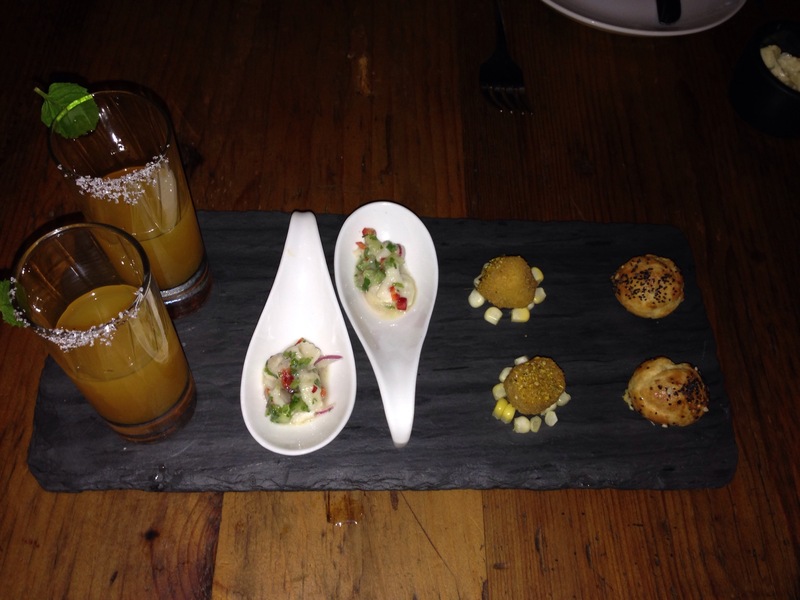 The first plate of the meal was a sampling of delicious bites from the chef, including a cream cheese stuffed everything bagel bite, a sweet corn panacotta bite (with a surprising curry flavor), bass ceviche, and a cantaloupe and mint drink, all served on an incredibly cool slate board. possibly one of the most amazing things I’ve ever eaten. We were instructed by the waitress to put that little “sechuan button” on our tongues for 15 seconds, wait for the tingly feeling to start, swallow and then have a heightened taste sensation as we ate the rest of the tartare. Amazing. 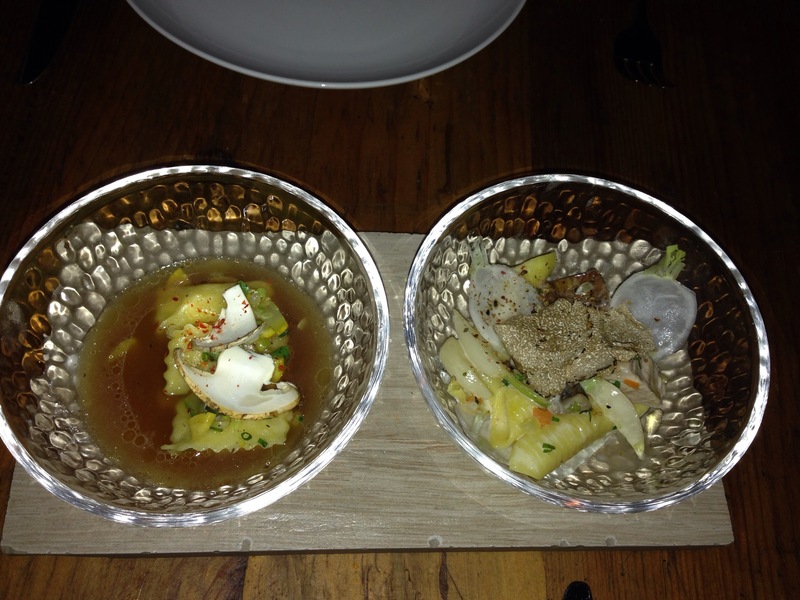 Next the dual oysters came out, and were unlike any oyster I’d ever tried. 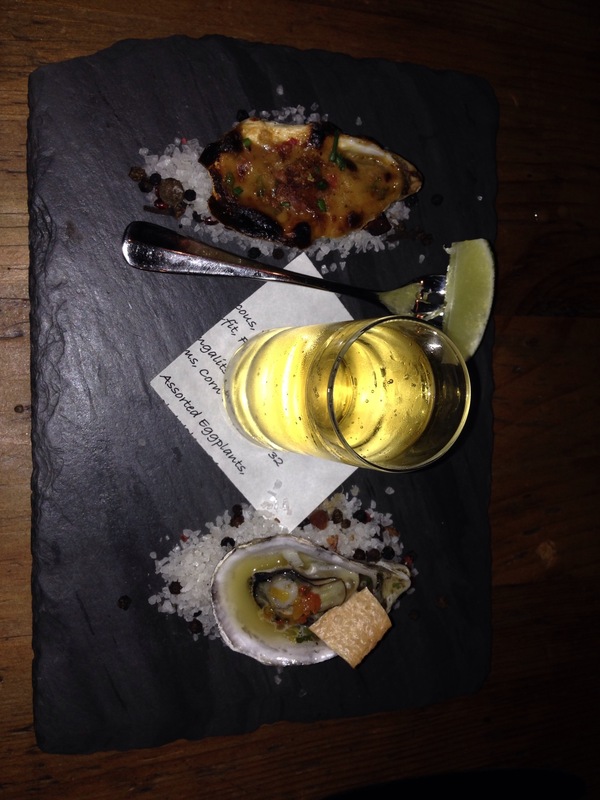 One was BBQ flavor and one was oysters casino, and the Abita light beer pairing was so refreshing and perfect. As the meal went on, Justin and I got increasingly drunk. 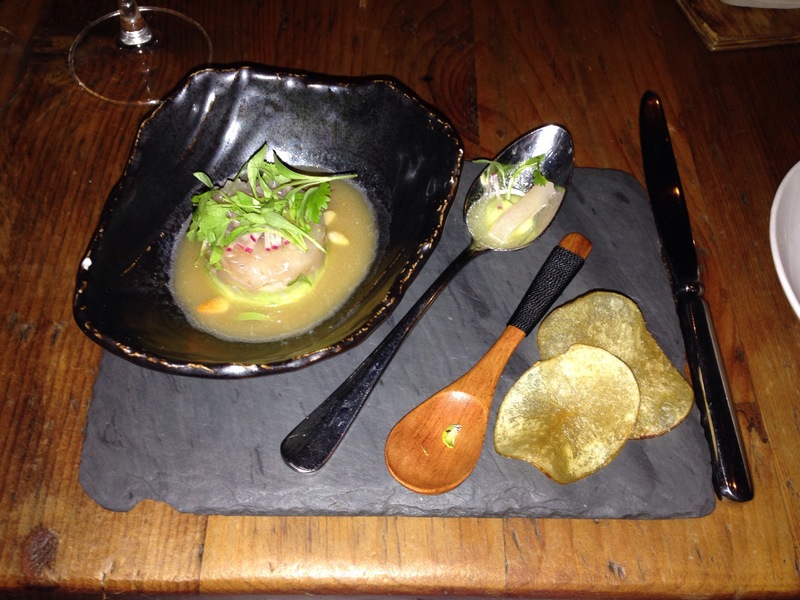 And after the kampachi and oysters, the plates started to become progressively less memorable… So if you’re going to go and skip the tasting, I think those initial plates are far more impressive than the latter. Sparing the details of every single plate, I’ll just put the pictures, names and a quick description. 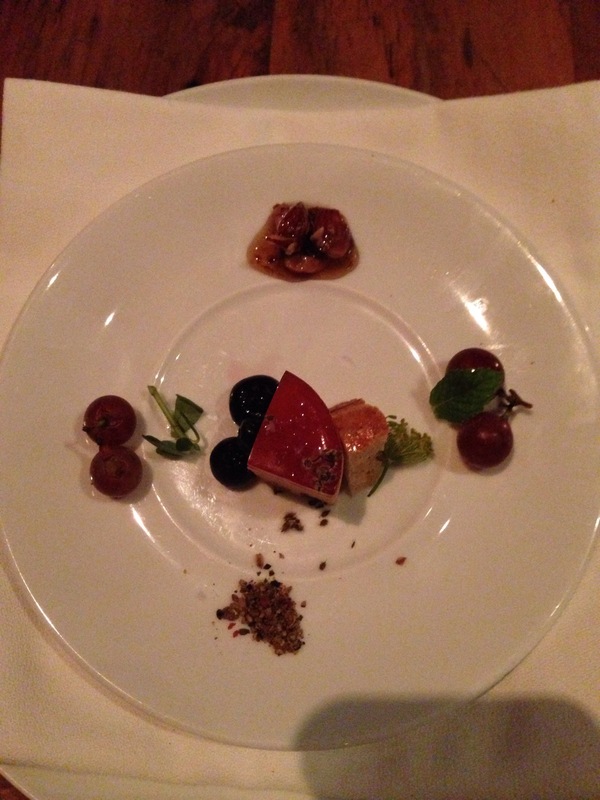 Foie gras: very good but a super small taste. 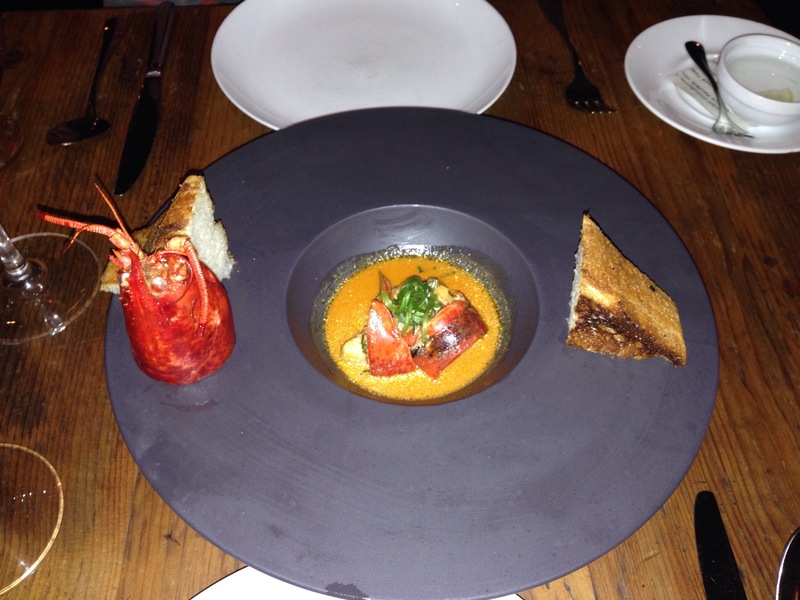 Chili lobster with Texas toast: awesome. Garganelli and soup dumplings came out together: very good but probably my least favorite course… I think this is where my potential 5 star rating started to lose some steam. Not sure what was missing but compared to the complexity of the other plates, these just seemed a little bland and simple. 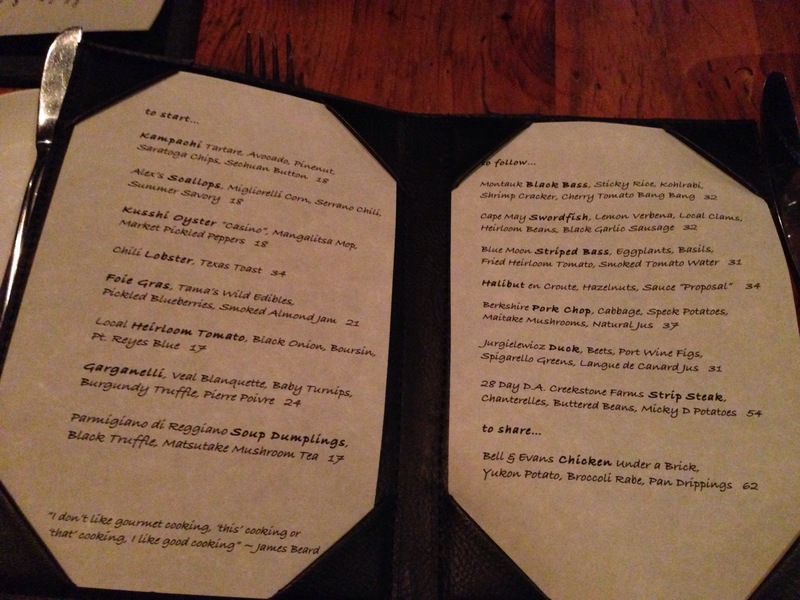 Striped bass: eh. Good, not great. Strip steak: this was very, very good. I didn’t love my picture so I’m skipping that. 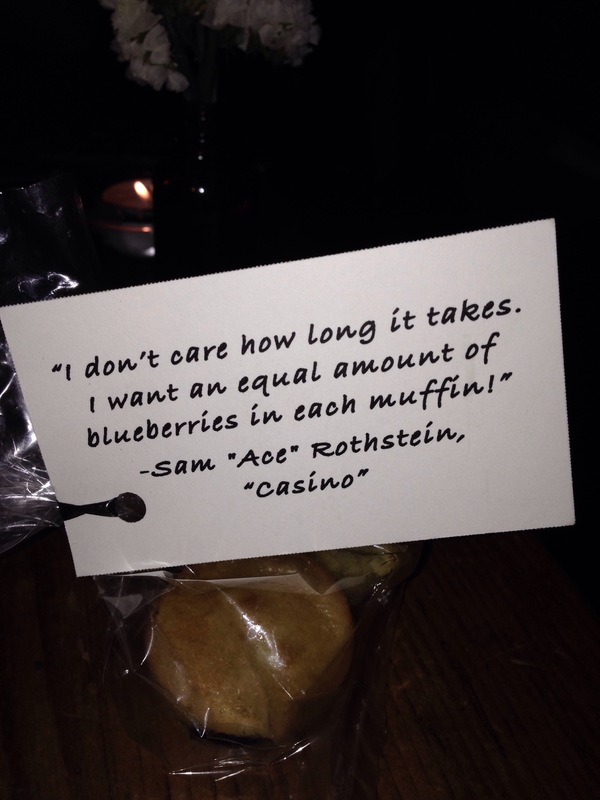 Last they brought out a little sweet bite of some sort of tart, and blueberry muffins with a quote from one of my favorite movies, Casino. Both of these were awesome. Overall, I really loved the meal. However there were some critical flaws bringing the near 5 star rating down to a 4. The waitress was helpful but a little over the top, with her stories of Marc the chef descending a mountain and other strange comments. I’m sure these are all required of the servers to add to the experience of the tasting menu, but she seemed a little forced and overly nice… Perhaps she is another struggling actress in New York. Also, we had come to dinner immediately before heading to the Billy Joel concert, and had made it clear to our waitress at the start of our meal that we needed to be finished by 7:30. At about 7:45, as she was still bringing out food, we had to remind her of our timeline. 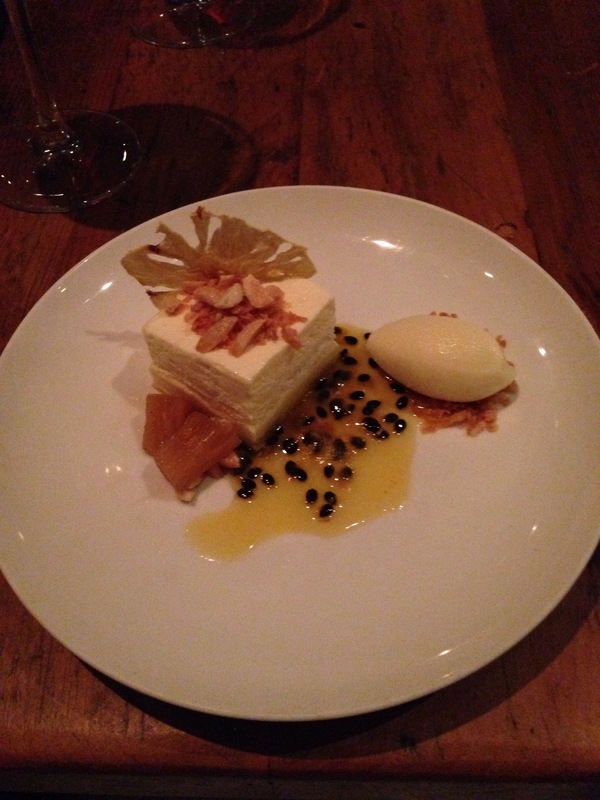 We had also ordered the tasting menu with the cheese course (only an extra $5)… But never got that, I’m guessing because of the big rush at the end. But I love cheese, so this was disappointing to me. I wish they had been able to expedite the meal properly. Anyways, after the meal we headed to Billy Joel. This was one of the greatest experiences of my life. 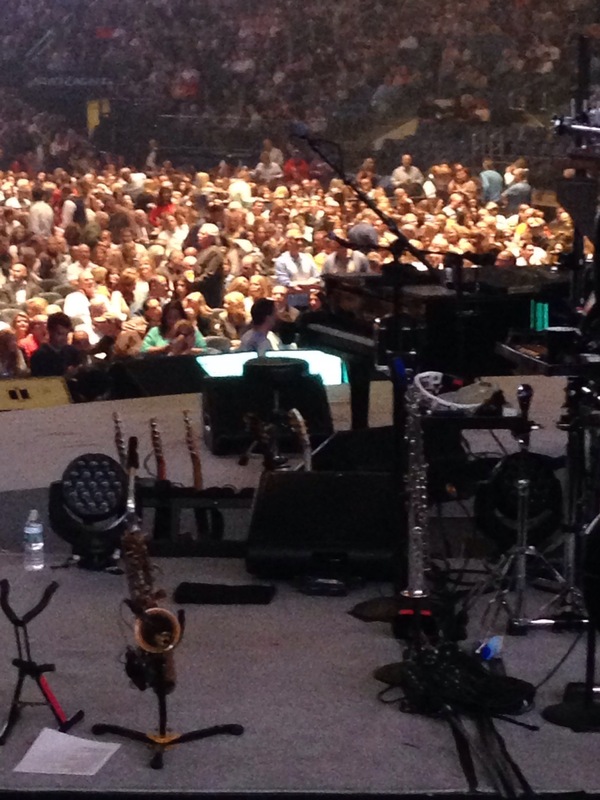 We had seats behind the stage… So we were mostly behind the instruments and equipment but were super close and had an awesome view. He sat at the piano most of the time, too, so we had almost the same profile view of him as we would have from the front. His set list was nearly perfect, including all the favorites (except for my personal favorite, Captain Jack.. This was sad). 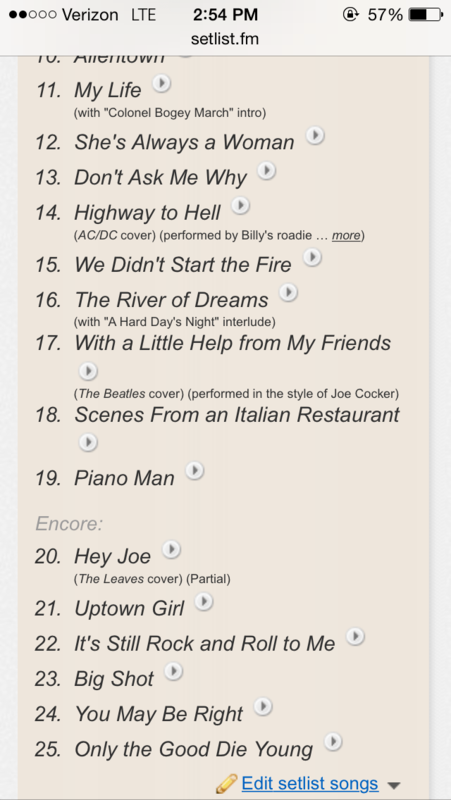 I found a set list online that I think was accurate. 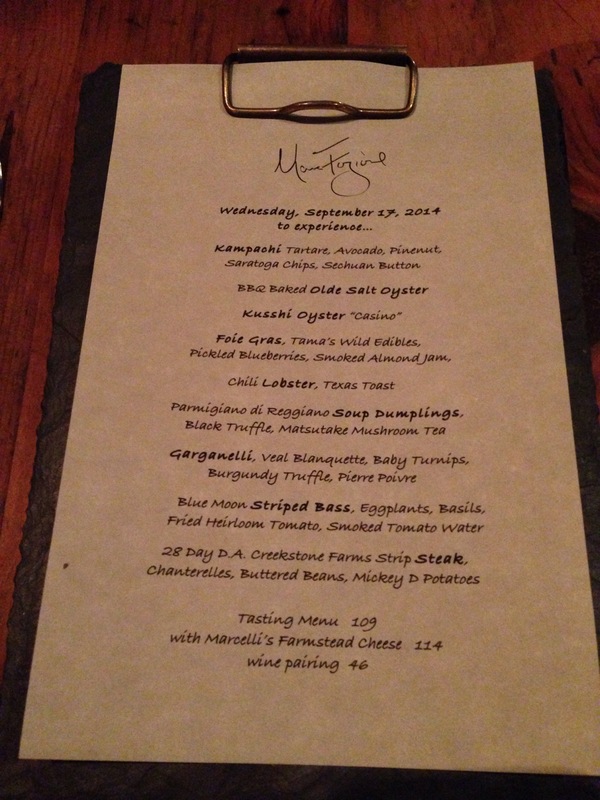 With the exception of the waitress hiccup at Marc Forgione, this was a completely perfect and most memorable night. 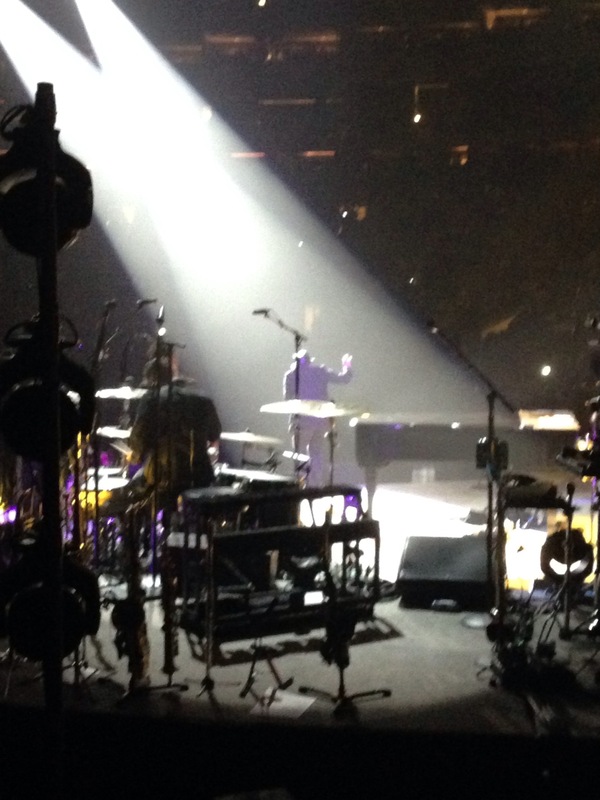 I highly recommend anyone tries the restaurant and I more highly recommend that any New Yorker splurge on the Joel tickets… We don’t know how many more concerts he’s going to do and it proved to be an incredibly special night.